Hello, thanks for visiting my blog! I am a Principal Consultant and Trainer with a specialty on Enterprise Client Management and Enterprise Mobility working for Daalmans Consulting. Since April 2012 I have been awarded as Microsoft MVP in System Center Configuration Manager, Enterprise Client Management (Microsoft Intune and System Center Configuration Manager) and since 2015 the award has been renamed to Enterprise Mobility, a big honor!. I am working with deployment tooling from competitors since 1997, and in 2005 the deployment tooling like BDD and SMS 2003 from Microsoft came in my life and were embraced since then. 🙂 In the years after that until now, numerous (international) SCCM, Intune, EMS and Exchange Server/Office 365 projects came on my path. I try to speak every year on several events like User Group meetings in Europe, TechDays Netherlands, ExpertsLive and in 2013 I had the honor to speak at TechEd Australia and TechEd New Zealand and in 2015 at BriForum London, BriForum Denver, IT/Dev Connections and the Midwest Management Summit all three in the USA. Also in 2016 I will be at different events around the world! See for a complete list this page. Often I am able share the slides of my presentation myself, you can find them here. I am one of the authors of Mastering System Center 2012 Configuration Manager from Sybex (ISBN: 978-1-118-12898-5) which is released in May 2012 and Mastering System Center 2012 R2 Configuration Manager from Sybex which is released in March 2014. The books have all the information and tips of Configuration Manager 2012 and Configuration Manager 2012 R2. You can find more information on www.masteringsccm.com . Wrote in 2015-2016 together with Kent Agerlund a book about the Enterprise Mobility Suite (Microsoft Enterprise Mobility Suite: Planning and Implementation) which is released in May 2016. Currently writing the new version of Mastering System Center Configuration Manager (Current Branch) which will be available later in 2016. Besides blogging and being part of the IT-Pro Advisory Counsel of Microsoft Netherlands, I am one of the founders of the Windows Management User Group Netherlands (WMUG NL) and currently the chairman of the WMUG NL Foundation. With the WMUG NL we organize 6 on premise events and 4 webcasts every year. If you have questions, tips or other feedback please don’t hesitate to contact me via the following options! 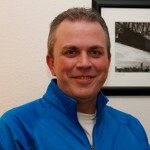 My name is Brandon Lawson and I am the founder of AdminNation.com. Admin Nation’s primary goal is to deliver valuable material for IT Pro’s all. It is completely dedicated to the System Administrators, and network engineers. All Articles, Tutorials, and Interviews are published by fellow system administrators and IT professionals. I wanted to write you and see if you would be willing to donate some time, and write one article for my site. In return, I can give you a short Bio on every published tutorial for self-promotion, link to your own Website on Every Post Published. The links you place will remain permanent, and a Link to Twitter or Facebook on Every Post Published. You will also be helping a fellow IT guy with his new site. The topic would be up to you. If you’re interested, please feel free to contact me! I found your website blog posts on SCCM while doing a search this quiet Sunday afternoon. You really have a ton of info! Nice! I work with Jeremy Moskowitz, Group Policy MVP, and we run PolicyPak Software together. Based on what I see on your website, I thought PolicyPak might make an interesting blog entry for your readers. We can configure applications after software is installed on desktops, laptops and VDI machines. Interesting? If you think this is a good idea, I can send you the bits and you can talk with Jeremy if you have technical questions during your writeup. Wow! you blog is really very good. hello my name is liji i am from very small town in india. I remember one of the days when i was getting trained for MCITP-EA Windows 2008 R2 in 2012 while i was going for a class near the place where i stay. My trainer who is certified as MCT told everyone in the class SCCM as one of the biggest technologies in Microsoft. And i wish i will could become as MVP in SCCM one day to make my trainer happy about me. I love windows server and hardly know what an SCCM is. I am looking for any documents about Microsoft SCCM 2012 vs Autotask Endpoint Management. Benefits between the two products support. Etc. Hi all love the site! I was wondering if I could get some advice! We have a few Macbook Pro’s in our environment assigned to staff. We already have Intune for a bunch of mobile phones ( Android ) and would like to enroll these Mac’s so we have visibility over them and to have the ability to wipe them if they are lost or stolen. I have enrolled one Mac ( assigned the Intune license to the end user ) then enrolled it. I can see the device in our Intune portal fine – but how can I restrict the staff member from removing the Intune profile ? Hi Dan, unfortunately you cant by default. Maybe this works if you enroll a device via the Device Enrollment Program of Apple, but I have never tested this so I am not sure.